I’m back at college! With a kitchen! It’s so super exciting and I don’t care that I sound like a 16 year-old. I love my kitchen. Sure it’s been almost a month since I moved in and I’m just now posting, but I’ve been too busy cooking and playing in the kitchen. It’s itty bitty; my roommate and I can’t be trying to use it at the same time even if one of us is washing dishes and the other is grabbing something out of the fridge. 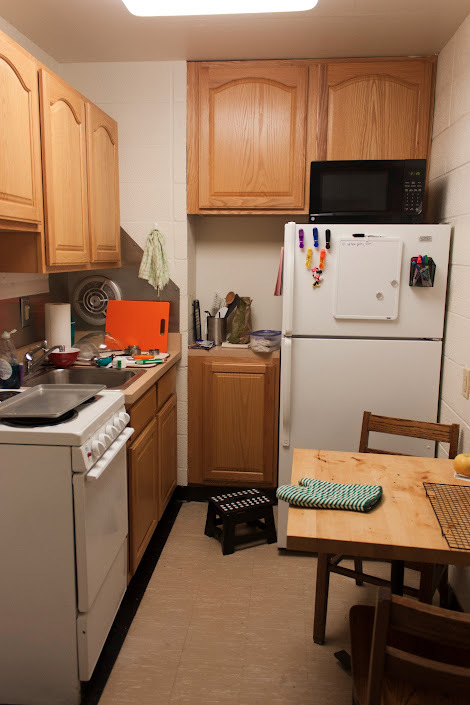 I think it is honestly the smallest kitchen ever intentionally designed for 2 people. To give you a sense of scale, to be able to open the fridge, I have to move the chair closest to the fridge out into the middle, which then blocks the oven and all exit routes. My cookie sheet has to go in so that I’m only able to grab the shorter end rather than sideways. But it’s my beautiful kitchen and I love it. Back to that delicious bread up top. One of the reasons I love my kitchen is that my Great Aunt Jeanne sent me a copy of her cookbook she compiled for her grandchildren in 2007. It is 183 pages of recipes with an index by type and title. She included everything from setting the table, to making a salad, to the blessings, and Thanksgiving turkey. Almost every recipe has some back story of the family or friends where the recipe was found or silly memories. There are scans from the Auburn Cookbook, 1924 edition, and newspapers with extra notes. I knew I was in for a treat when I pulled out the book from the packaging and saw the cover. I apologize for the poor quality of the picture, but it needed to be posted with this recipe. If you can’t read it, the cover says “Anything Good is Better With Butter.” This book is filled with comfort food, a lot of it that makes me think of growing up in the South along with some touches of sea fare from Virginia. 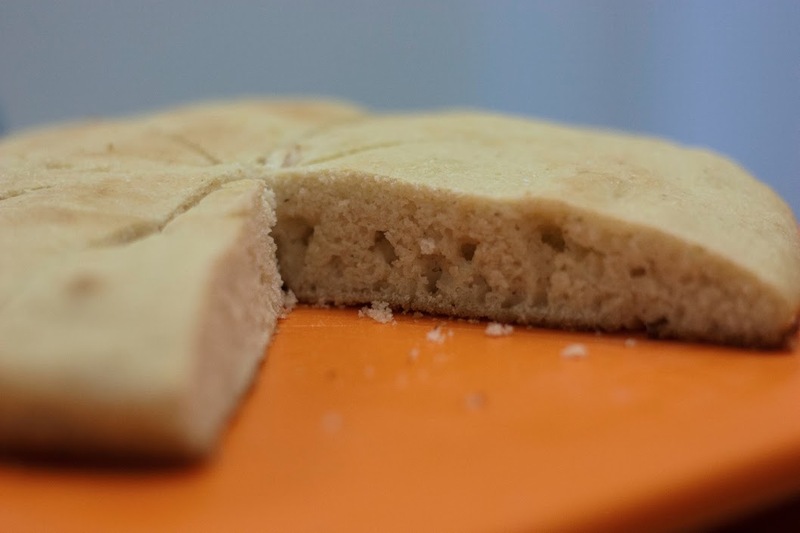 My favorite, and the second main topic of this post, is the cornbread. I have a personal infatuation with cornbread that I didn’t quite recognize until I moved up to New York for school. Someone had some at work one day in February my freshman year and I haven’t been able to stop thinking about it since. Aunt Jeanne’s recipe starts with “Southern? This is your Heritage!” I could barely contain my personal excitement. 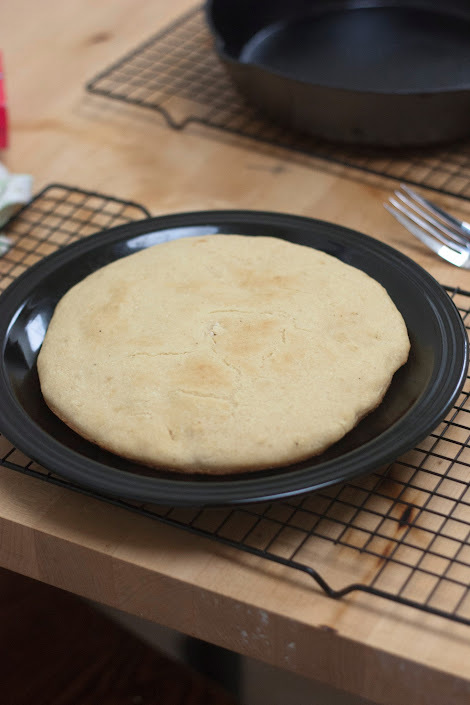 The recipe continues, “please bake this in a black iron skillet,” so one of the first things I added to my collection of cookware was a 12-inch black iron skillet, just to make cornbread. Before we get to the recipe, there’s something that must be understood about how special this book is to me. I have never met my Great Aunt Jeanne in person. My parents visited her and my Great Uncle Mack back in April and I was able to Skype in to the visit before church one Sunday. Aunt Jeanne is the genealogy compiler of the family. So I have always known of her as the person who created the charts of our family history, a 13 year project tracing my Great Grandad and Great Grandma’s families back to 1505 and 1499 respectively. It’s an amazing history. But now, I feel like I know my Aunt Jeanne a bit better. I can hear her telling the stories in this cookbook and I feel so blessed that she chose to share this amazing collection with me. So without further ado, here’s my Great Aunt Jeanne’s cornbread. I cut it into 8 pieces, but having 16 also keeps them at a reasonable size. Jeanne also mentions that this can be easily doubled. Turn oven to 450 degrees. Coat the bottom of a black iron skillet with oil (Jeanne recommends using one divided into pie sections for the “crispy crust all around”). Put the pan in the heating oven so the oil gets hot. Mix all the ingredients (no extra oil) to make a thick batter. Take the skillet out of the oven, use hot pads! Pour batter into pan. The bottom will start cooking immediately like a pancake. Place the skillet with batter back into the oven for 12-15 minutes, until a toothpick comes out clean. Love this. My mom’s is the same. Auburn cookbook origins.